The Weber Summit S-670 grill is the top of the range model, from the top of the range grill series, offered by Weber. The Weber Summit S 670 grill is a huge grill with huge features! Our review of this Weber Summit grill will have a look at every one of them – along with the specific model item numbers so it is possible to find those best on sale prices for the beautiful Weber Summit S-670 Gas Grill. The Weber Summit S-670 Stainless Steel Grill is the king of grills! The Weber Summit S 670 grill is a stainless steel grill within the Weber Summit series of models. It has a stainless steel (silver) finish and even 9.5 mm diameter stainless steel rod cooking grates (which are heavy duty and are designed to retain heat evenly and create beautiful sear marks). If that’s not enough stainless steel for you, the Weber Grill Flavorizer bars are stainless steel too! These Weber Grill Flavorizer bars are a great feature within most of the Weber grill ranges, including the Weber Summit series. They are V shaped “hoods” that are situated over the burners to deflect juices that drip during cooking and thus reduces flare ups. 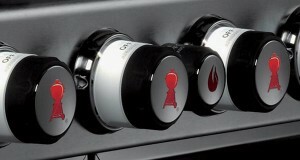 6 Burners is only the beginning for the Weber Summit S 670 …..! The Weber Summit S-670 grill has six burners (which are also stainless steel!). These burners provide a BTU of 60,000 BTU per hour input over a primary cooking area of 624 square inches (if you don’t need so many burners and such a large primary cooking area you should consider the Weber Summit S-470 gas grill or the Weber Summit S-420 gas grill). The Weber Summit S 670 primary cooking area is 69 sq inches less than its sister the Weber Summit S-620 gas grill (which has a larger primary cooking area of 693 SQ inches). The reason for this is that the Weber Summit S-670 grill has a smoke burner incorporated into its primary cooking area. (The Weber Summit S 620 gas grill does not have this smoker burner but both grills have the same overall primary cooking area dimensions). The smoke burner has 6,800 BTU per hour input. A BTU is a typical measurement of how gas grills heating power is described, and is often more easily thought as 1 BTU is a single match burning. You should be able to fit approx 35 to 40 burgers on the primary area(though it depends burger size!). Above the main cooking area is a 145 SQ inches of warming rack. In total this means you have 769 SQ in. of cooking area. The only grills with a larger overall total cooking area are the Weber Summit E-620 and Weber Summit S620 gas grills (which have a primary cooking area of 693 sq inches + warming rack of 145sq inches yielding a total cooking area of 838 sq in). And yet there are even more cooking features on this wonderful Weber Summit S 670 grill. Still packed within the main cooking area is a rotisserie feature in the form of a rear mounted infrared burner with a BTU of 10,600 per hour input. The infrared burner is located within the back area of the grill close to where the warming rack is situated. The associated rotisserie system comprises a neat tuck away flip up motor and separate spit and fork. The tuck away flip up motor is housed within the side preparation table to the left (as you face the grill) of the cooking area. It is worth noting that in previous years Weber has sold the Weber Summit S-670 grill in models with or without the Tuck Away Rotisserie system included – giving you more choice as to whether you want this feature on your grill. 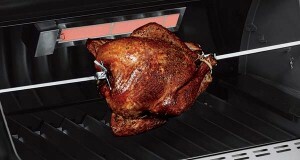 However, the current years models are only manufactured with the Tuck Away Rotisserie system already included. And finally if that is not enough cooking options from the Weber Summit S 670 stainless steel grill, you can always call upon the side burner that is located to the right of the main cooking area and is housed flush within the side preparation table when not in use. This side burner has a BTU of 12,000 BTU per hour input and is perfect for keeping those sauces lovely and warm. Too many features? Too big? If all of these sear station, smoke burner, and rotisserie features are more than what you are looking for, but you still require a large grill with a large primary cooking area, you may wish to consider the Weber Summit S-620 gas grill. However, if you want all of these features, but require a slightly smaller grill, then you should check out the Weber Summit S-470 – which has the same grilling systems as the S 670, but is a 4 burner grill instead of 6 burners. The Weber Summit S-670 grill lights up….. literally! 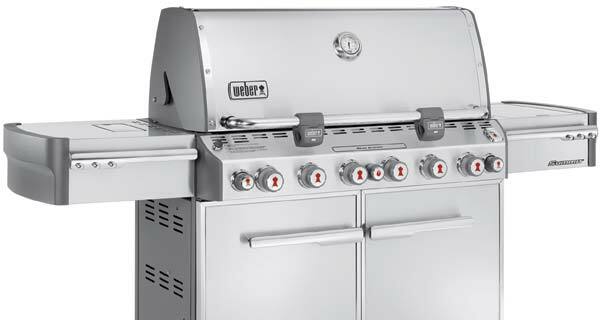 All of the burner controls on the Weber Summit S-670 are located on the front face of the grill except for the side burner control which is located adjacent to the side burner ring. As a nice touch these front facing dials are illuminated for night-time grilling. Each burner is not ignited through a button push, instead they are lit via turning the dial through an initial click ( which Weber calls their “snap jet” ignition system). Adjacent to these burner controls is one of two LED tank scale control panels which show the fuel level. The second tank level indicator is located inside the cupboard beneath the grilling area. These fuel gauge features are included on the LP liquid propane models only. If that is not enough illumination for you, the Weber Summit S 670 grill comes with two of Weber’s grill out handle lights. These Weber grill out handle lights have a smart tilt sensor that automatically switches the light on when the lid is raised…therefore cooking through sunset and beyond is not a problem for you thanks to those smart Weber Grill out handle lights! The Weber grills stainless steel (silver) lid shroud has a center mounted thermometer for you to monitor your grills temperature at all times. The Weber summit S-670 is a heavy grill – but despite this it sits on four heavy duty wheels; of which the front two have locking casters. There are six hooks for all of your grilling tools; three located on each front face of the side preparation tables. The Weber Summit bbq S 670 is available in either natural gas or LP liquid propane models. The LP liquid propane models are fuelled by a 20lb tank (which is not included with the original purchase). The tank is housed inside the cabinet beneath the main cooking area. If you choose the natural gas model, a 10 ft flexible hose is included with your purchase. It is recommended that your investment in this wonderful grill is accompanied by an investment in a specifically tailored Weber Summit grill cover 7555. 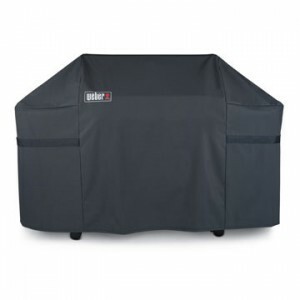 A Weber Summit grill cover keeps your grill protected from whatever the weather can throw at it, and means the grill is ready to go when you are ready to start cooking; the cover reduces the amount of cleaning and dusting required to keep your grill the pride of your back yard. The variation offered from the different burners of the S-670 grill means you can be flexible with the food you cook as well. If you love the fresh grilled pizza taste, take a look at the Weber Pizza Stone 6430. The Weber pizza stone is made of a cordierite ceramic material which distributes heat in a uniform way, and also absorbs excess moisture. 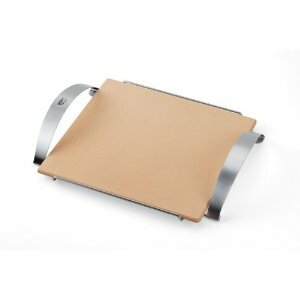 The Weber pizza stone has a stainless steel handle frame to facilitate moving it on and off the grill. Weber Pizza stone owners indicate crispy results are more likely obtained for the thinner pizza crusts. 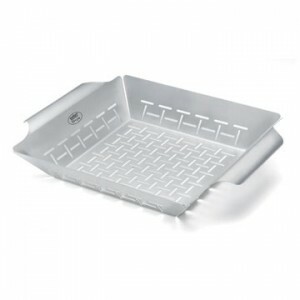 You can even grill those beautiful fresh vegetables with the popular Weber Vegetable Basket 6434 in stainless steel. It is just over 13 inches by 11 inches and owners report that the sides are high enough to toss vegetables around during grilling, but low enough to fit underneath the warming rack. The Weber Vegetable basket stainless steel finish does become blackened soon after use, but owners comment that this does not affect the performance of the basket and is best viewed like you would enjoy a seasoned cast iron cookware piece. Also, the Weber Vegetable basket seems to work best when pre heated during grill warm up, and also is cooled down slowly after cooking is completed. Breakfast, lunch, dinner ? You can do it all on the Weber Summit S-670! If that’s not enough grilling options, you can choose to knock up a grilled breakfast with the porcelain enamelled Weber Cast Iron griddle 7404. This clever Weber cast iron griddle is 2 sided – incorporating a smooth surface on one side for items such as bacon and pancakes, and a more profiled finish on the other. 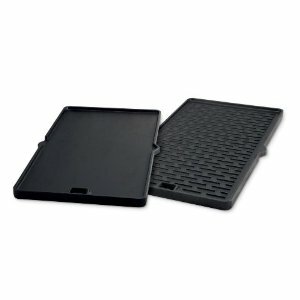 The cast iron griddle fits both the Summit 400 and 600 Summit series grills. Since it is a cast iron griddle, it will require a little seasoning before first use, and it is heavy! What’s the difference between the Weber Summit S-670 and the Weber Summit S-620? The Weber Summit S 620 grill does not include the sear station, smoke burner box, or infrared rotisserie burner system. Because the Weber Summit S-620 does not have the smoke burner box, the Weber Summit S620 has an additional 69 SQ inches of primary cooking area compared to the Weber Summit S 670. 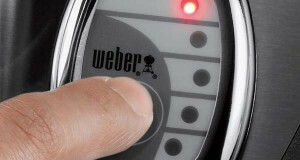 Also the Weber Summit S 620 does not have illuminated burner control dials. Besides these differences, the overall dimensions of both grills, and all other features, are identical. Similar to the choices of the Summit S-670, the Summit S-620 is available in both S-620 lp liquid propane grill and S-620 natural gas grill options. What’s the difference between the Weber Summit S 670 and the Weber Summit S-470 ? The Weber Summit S670 grill has six burners, the Weber Summit S-470 gas grill has four burners. The two less burners means that the Weber Summit S 470 grill has a BTU of 48,000 BTU per hour input compared to the 60,000 BTU per hour input of the Weber Summit S 670 grill. 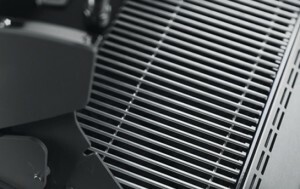 The overall width of the Weber S-470 grill is just over 8 inches shorter than the S 670. 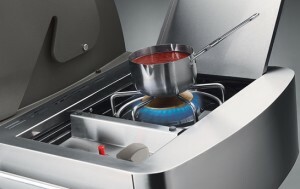 Therefore the primary cooking area is smaller on the Weber Summit S470 providing 468 SQ inches, compared to the 624 square inches of the Weber Summit S-670. 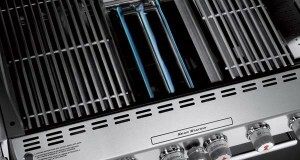 Similarly the warming rack is slightly smaller on the Weber Summit S-470 providing 112 sq inches of rack, compared to the 145 SQ inches of the Weber Summit S 670. The height and depth dimensions are identical for both models though. Only one Weber Grill out handle light is included with the Weber Summit S 470, but 2 are included with the Weber Summit S-670. All other features of both grills are identical. Should you require less burners than either the Summit S 670 grill or Summit S 470 grill, then you may wish to check out the popular Weber Genesis E320 gas grill with its 3 stainless steel burners. The Weber S-470 grill is available in either the S-470 LP liquid propane grill or the S-470 natural gas grill versions. What’s the difference between the Weber Summit S-670 and the Weber Summit S-420? While the Weber Summit S-670 grill is equipped with 6 burners, the Weber Summit S 420 grill has 4. The Weber Summit S-420 grill has a BTU of 48,000 BTU pr hr input; the Weber Summit S 670 has 60,000 BTU per hour input. The Weber Summit S 420 grill does not have a side burner, nor a sear station or an infrared rotisserie system (the Weber Summit S-670 has all of these features). The overall width dimension of the Weber Summit S-420 gas grill is just over 8 inches shorter than the Weber Summit S-670. This means the primary grilling area is smaller than the Weber Summit S670 grill, but the Weber Summit S420 grill does not include a smoker box, and therefore provides more main cooking area in its place – yielding a main area of 538 sq inches (compared to the 624 sq in of the Weber Summit S-670). The warming rack is smaller on the Weber Summit S 420 with 112 sq inches of rack (compared to the 145 square inches of the S 670 grill). 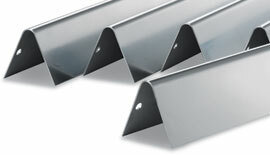 Height and depth dimensions are the same for both the S-420 and Weber S-670 grill models. The Weber Summit S 420 grill comes with only one Weber grill out handle light, compared to the 2 provided with the Weber Summit S-670 grill. The Weber Summit S 420 grill burner control dials are not illuminated. Besides these differences, other grilling features are the same for both grills. Both gas options are available for the Summit S-420 model, so you can select either the Weber Summit S 420 lp liquid propane grill, or the Summit S420 natural gas grill. If you require an even smaller number of burners than the Weber Summit S-420 bbq for your grill, then you may wish to have a look at the Weber Genesis S-310 gas grill, or the Weber Genesis E-310 gas grill as these have 3 stainless steel burners. What’s the difference between the Weber Summit S 670 and the Weber Summit E-670? 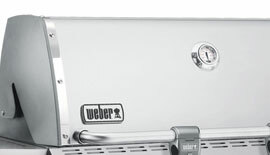 These grills are identical, but the Weber Summit S-670 is only available in a stainless steel (silver) finish. The Weber Summit E 670 is the colored finish version of the Weber Summit S 670 grill. The Weber Summit E670 is available in Black only, as either the Weber Summit E-670 lp propane gas grill or the Weber Summit E-670 natural gas grill. What’s the difference between the Weber Summit S-670 and the Weber Summit S-660? The Weber Summit S 670 grill is free standing grill, the Weber Summit S660 gas grill is the built in version of the Summit S-670. The Weber Summit S-660 therefore does not have side preparation tables, or any fuel indicator gauges in either the LP or natural gas versions. The Weber Summit S 660 does come with a cabinet, but this cabinet is not for fuel tank storage. Since the Weber Summit S-660 is a built in grill, it is not shipped with any legs or wheels. The overall dimensions of the Weber Summit S 660 (lid open) are: Height is 49.5 in(compared to the S 670’s 57.1 inches. ), Width is 40.0in (compared to the S-670’s 74.1 inches. ), Depth is 31 inches (compared to the S-670’s 30 inches.). If you require a side burner with the Weber Summit S 660 they can be purchased separately with the Weber Side burner 83003 LP or Weber Side Burner 83004 natural gas, which are Dual Side Burners (2x 12,000 BTU pr hr input burners, with stainless steel flush mount cover included). Besides this, the features of both grills are the same. The Weber Summit S-660 can be purchased in either propane or natural gas models (Weber Summit S-660 lp liquid propane grill or Weber Summit S-660 natural gas grill). Whats the difference between the Weber Summit S 670 and the Weber Summit S 460 ? The Weber Summit S-460 grill is the built–in version of the Weber Summit S 470 grill. So, while the Weber Summit S-670 has 6 burners, the Weber Summit S460 has just 4. Less burners yields the Weber Summit S-460 with 48,000 BTU pr hr burner input, whereas the Weber Summit S670 has 60,000 BTU. The overall width of the Weber Summit S-460 is 32 inches, compared to 74.1 of the Weber Summit S-670 (with its included side preparation tables). The primary cooking space is less on the Weber Summit S 460 at 468 square in; (compared to the 624 square inches of the Weber Summit S-670). Also, the warming rack is slightly shorter on the Weber Summit S 460 with 112 square in (compares to the 145 square in of the Weber Summit S-670). Height of the Weber Summit S-460 is 49.5 inches (compares to the Weber Summit S 670’s 57.1 in. ); depth of the Weber Summit S 460 is 31 inches, compared to the 30 inches of the Weber Summit S-670. A single Weber Grill out handle light is shipped with the Weber Summit S-460 grill; 2 are shipped with the Weber Summit S 670 grill. No side burner at all is included with the Weber Summit S-460; you get one 12,000 BTU side burner with the Weber Summit S-670 grill. (You can order a dual burner via the Weber Side Burner 83003 liquid propane or Weber Side Burner 83004 Natural Gas (2 times 12,000 BTU per hour) side burners – and this dual unit includes a stainless steel flush mounted cover). Besides this, the grills have the same features. As per the choices for most of those within the Weber Summit grills range, the Weber Summit S 460 can be ordered in either the Weber Summit S-460 lp liquid propane grill, or the Weber Summit S-460 natural gas grill. What is the difference between the Weber 7370001 and 2780301 Summit S-670 grill models ? The current model of the Weber Summit S-670 is the 7370001 model. The 2780301 model is the previous version of the Summit S-670 grill. Both models are the liquid propane gas versions of the grill, and both models have the rotisserie system (in previous years it was possible to purchase the Weber Summit S-670 without the rotisserie (which was model number 2780001)). Hence, the difference between the Weber 7370001 and 2780301 gas grills is as follows: The current Weber 7370001 grill has an LED fuel gauge, the Weber 2780301 grill does not. 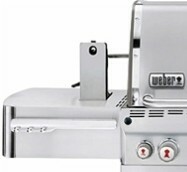 The current Weber 7370001 grill has a stainless steel control panel and stainless steel table ends. 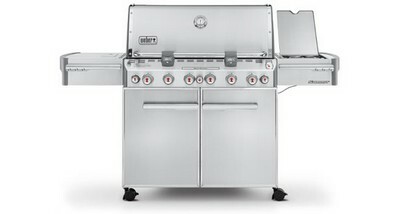 The previous Weber 2780301 grill model has the control panel and table ends made of cast Aluminum. What is the difference between the Weber 7370001 and 2780001 Summit S-670 grill models ? Both the current Weber 7370001 and previous 2780001 models are the lp liquid propane fuel versions of the Weber Summit S-670 gas grill. 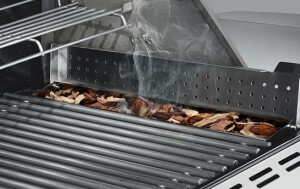 Prior to the current model (the Weber 7370001) being released, it was possible to order the Weber Summit S-670 with or without the tuck away rotisserie system. So, the differences between the Weber 7370001 and 2780001 Summit S-670 models are as follows: The Weber 2780001 is the previous version of the Weber Summit S-670 grill that does not include the tuck away rotisserie system (the 2780301 is the previous model which does include the tuck away rotisserie system). The previous model Weber 2780001 also does not include a LED fuel gauge to indicate propane gas fuel levels. This LED fuel gauge is present on the current Weber 7370001 Weber Summit S 670 gas grill. Also, there is not as much stainless steel on the previous Weber 2780001 grill, because the gas burner control knob areas, and the table ends, are made of Aluminum. 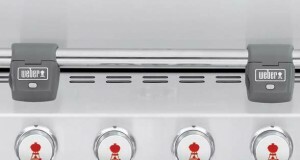 However, on the current Weber 7370001 grill, the gas control area, and table ends, are both stainless steel. Does the Weber Summit S-670 have a grill light ? We are often asked the question “Does the Weber Summit S-670 have a grill light?”. The answer is that the current version of the Weber Summit S 670 gas grill is shipped with 2 Weber Grill out handle lights. These LED lights are attached to the horizontal handle bar on the grill hood. The lights can be operated manually using the switch, or set to turn on automatically when the hood is tilted open. Each Weber Grill out handle light runs on 3 AAA batteries. It is hard to think of features that have not already been included in this wonderful Weber Summit S-670 gas grill. Finished in beautiful stainless steel (and indeed with most grilling features in stainless steel too) – this grill is fabulous to look at. However, it is not just nice on the eye, it has plenty of heat in all areas too. 60,000 total BTU per hour input from the 6 burners (each with Weber’s Flavorizer Bars to reduce flare ups), plus the 10,600 BTU per hour for extra searing heat (from the centrally located Sear Station) is there for you to call upon. Add the 10,600 BTU per hour input offered by the Infra red Rotisserie Burner and you have an incredible amount of BTU to generate heat in your primary cooking area. The 6,800 BTU per hour input Smoke Box burner provides you with more choices of how you can flavor your food, and the flush mounted 12,000 BTU per hr input side burner can heat those wonderful sauces quickly for even more taste options. The Smoke burner box comes at the expense of losing 69 sq inches of primary cooking area (with only the Weber Summit S-620 gas grill offering more primary cooking area), but the primary cooking area of 624 sq inches and the additional area of 145 sq inches from the warming rack means the total cooking area of 769 sq inches of the Weber Summit S-670 grill is likely to be enough for most. Weber’s ingenuity is evident throughout the grill – with features included such as the Tuck Away Rotisserie system (which keeps the preparation areas clear when it’s not in use), and their 2 Grill out handle lights which light up when the lid is opened. Front facing features such as a temperature gauge, LED fuel gauge (LP models only), and the illuminated Snap ignition burner control dials means you can have as much control over your grill as you’ll likely ever want. Weber have built their reputation on providing quality components within their grills, and this grill is no exception, from the large 9.5mm diameter stainless steel rod cooking grates, through to heavy duty casters and stainless steel side tables. The Weber S-670 gas grill comes in both lp liquid propane and natural gas options. Combining these choices with all of its many useful grilling options, features, and size, we are sure you will agree that the Weber Summit S-670 gas grill is certainly worth consideration for your back yard. Want to Buy a Weber Summit S-670 gas grill on Sale? Did our review of the Summit S-670 grill help you get to know this particular model better? If it did, it would help us out if you could click the Facebook Like or Google Plus button below. Thank you!